This article will discuss two opposing viewpoints on whether Wonder Woman will over-or-under perform at the box office this weekend. Movie Amigos co-founders Sammy and Jose differ greatly on the film's prospects. Hype really seems to be building for DC's latest movie, Wonder Woman (2017). Positive reviews are coming in and some expect it to earn between $85-$95 million dollars versus Warner Brothers's conservative estimate of $65-$70 million over the weekend. I, however, think the conservative numbers will either hit the mark, or Wonder Woman will under-perform at the box office this weekend. It may be an unpopular prediction, but hear me out. First of all, it's a DC Extended Universe movie. What I mean by that statement is that Wonder Woman carries the weight and history of the franchise just like a Marvel Universe movie would. In this case that's a bad thing for DC. The last two films in the DC Extended Universe include Batman v Superman: Dawn of Justice and Suicide Squad, both of which received rotten reviews with both scoring under 30% on Rotten Tomatoes. Granted the audience scores were not as low, but whether you agree or not, Marvel Universe is DC's Extended Universe main competitor. So in turn, not only are the DC movies judged on their own, but they are also compared to the Marvel films' successes. Marvel has continuously put out solid films that are loved by both critics and audiences alike. Also, have you heard that old saying, fool me once, shame on you; fool me twice, shame on me? Well I think DC is close to having its audience feel tired of being fooled into having such high hopes for a film and then being let down. At some point you just have to cut your losses. Second: the fanbase problem, both from the character and the actress. The Wonder Woman comic book character does not have the fanbase of other big name characters like Superman or Batman. Those big name loyal fanbases will flock to the theaters on opening weekend regardless of reviews. I don't think the Wonder Woman fanbase is as big or as loyal. The same could be said for actress Gal Gadot. This is her biggest role to date, and while she may have some acting chops, her resume is not that deep. I didn't care too much for her Giselle character in the Fast and Furious movie franchise. It was not an unforgettable performance or really groundbreaking, it was just a regular supporting role. I hope this does become her big breakout role. I love the fact that she's an ex Israeli Defense Forces member; that's a great merit on its own, not even counting her other scholastic and modeling merits. I'm simply just saying that she's not a household name yet, and she's a relative unknown to the general audience. So I don't expect her to have a big A-list celeb fan base that will show up in throngs to her opening day movie. I think the positive reviews might help it make money in the long run, but I don't expect a big or record-breaking opening weekend. If it does, I'll devote an entire article to Gal Gadot. While I respect Jose's opinion on the matter, I'm going to have to respectfully disagree: I believe Wonder Woman will exceed the box office tracking and will gross $80 million or more this weekend, with the absolute potential to cross the $100 million dollar threshold. Jose is correct in stating the fact that Batman v. Superman and Suicide Squad are critically maligned films. It is also true that due to the connected nature of these films, they can be seen as sequels instead of standalone films. It is often the case that when a film does well financially but does poorly with audiences, that its sequel will have diminished returns and will often struggle to become profitable. Case in point: look no further than Alice Through the Looking Glass, a film that nobody wanted yet was certain to happen due to the first film's worldwide gross of over 1 BILLION dollars. Alice in Wondeland only did well because it was riding on the coattails of Avatar's 3D success. Audiences craved more 3D films, content be damned. The first Alice was not a great movie, and so audiences remembered that fact when the time came for a sequel. Alice Through the Looking Glass ultimately became a huge financial disaster for Disney. 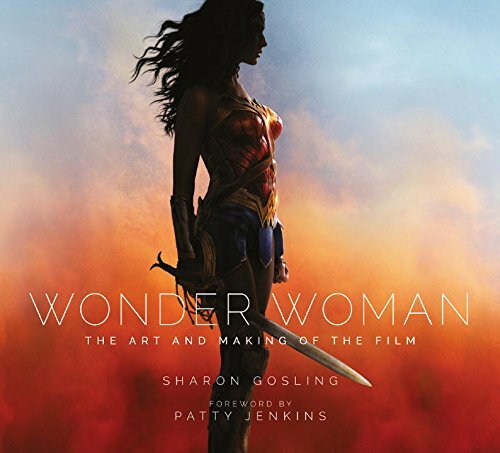 Wonder Woman is different because while its predecessor DC films were not accepted by critics, the films themselves garnered general audience acceptance. In fact, there are legions of DC Fanboys that get up in arms over this matter and complain with the ridiculous conspiracy theory that film critics are getting paid by Marvel for good reviews and to trash DC films. Sorry guys, but the DC films have just truly been terrible. I wish I could say otherwise, since I'm a true-blue comic nerd and have been since I was 3. Certain movie franchises are critic proof and will generate sizable returns despite critical hatred because audiences enjoy the movies. How many Transformers and Pirates of the Caribbean movies do we have? How many were actually good? This particular subset of the audience will be coming no matter what the critics say about Wonder Woman. i do believe that a portion of the audience was leery about Wonder Woman's prospects due to how they felt about previous DC films, and that these audience members would have tuned out and stayed at home if the critical response was tepid. But the fact remains that as of this writing Wonder Woman has one of the highest Rotten Tomatoes score (92%) for a comic book movie, regardless of whether it's DC or Marvel. This, coupled with the fact that Wonder Woman was one of the only shining spots in Batman v. Superman, will bring in the wait-and-see audience. I know that I did not have much desire to see the film despite enjoying the movie previews, because I did not want to be burned again by DC's seeming inability to get one of their properties right on film. So I was very relieved to see that this film is almost universally praised by critics. I'm now looking forward to seeing the film. There will also be individuals that see the movie solely on the strength of the reviews alone. Now to address Jose's concern that Gal Gadot and Wonder Woman as a character do not have fanbases. 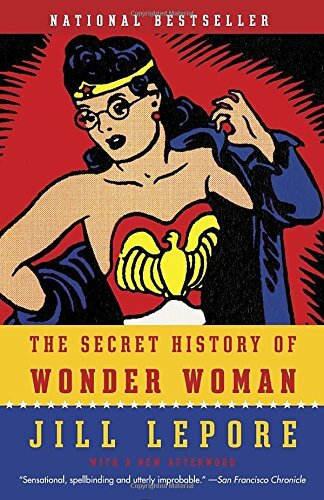 I would argue that Wonder Woman is one of the most recognized comic book figures there is, and that she is certainly more of a known quantity than Iron Man, Ant-Man, Dr. Strange, Thor, or Guardians of the Galaxy ever were before they made their cinematic debuts. 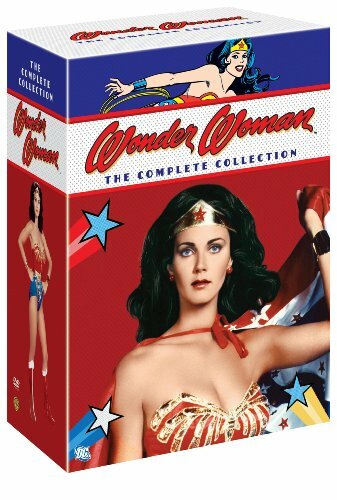 There are legions of fans, both men and women, who read Wonder Woman's comics and who fondly recall the '70s TV show. Furthermore, little girls love the character since they are exposed to her in a number of animated properties, including the popular DC Super Hero Girls. Wonder Woman represents female power, and as such, will bring about a larger number of women to a typically predominantly male audience. I know my 7 year old daughter and her friends are very excited to see the film, and these are kids that want nothing to do with the other superhero properties. So you're guaranteed to get the built-in DC movie contingent along with this untapped audience of females that have been underserved in this genre. Next up comes the concern that Gal Gadot does not have a fanbase. Rarely does a superhero get cast with a successful film star. The Batman films are notable exceptions, but oftentimes superhero roles go to either unknown actors (Christopher Reeve, Brandon Routh), actors looking to make a comeback (Robert Downey Jr), or indie actors that don't have huge fanbases prior to their superhero gig (Tobey Maguire, Andrew Garfield). The last time I checked, Iron Man, Superman, and the Spider-Man films were all successful franchises that did not have Tom Cruise/Ben Affleck/Christian Bale celebrity status when their films were first released. I think Gal Gadot is going to be fine, and her performance in Batman v. Superman shows she has charisma and a natural screen presence. For the reasons stated above, I believe Wonder Woman will surpass its initial $65 million dollar box office take that its studio is hoping for.